Gabriel Antonio – The New Breed! 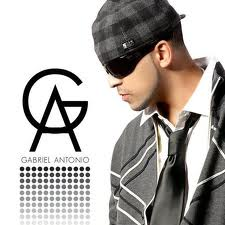 Whilst some would regard Gabriel Antonio as a new-comer in the Hip Hop / Pop music industry, he has indeed been holding down a successful independent music career for last eight years, having two album releases under his belt, a slew of US chart topping singles and major label release through Universal Music, with his 2009 album “ All Night Long”. Quite impressive for an artist steadily rising the charts in 2013 and getting set to bring that heat down to Australia this October. 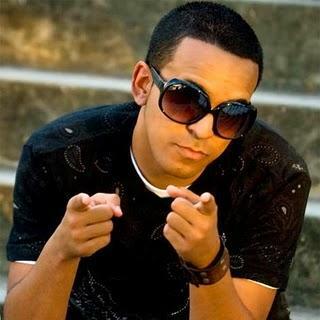 Hailing from Los Angeles, the 26-year-old Puerto Rican raised artist has been tirelessly toiling away at his craft, gaining industry attention with his first album “ All Night Long” and its addictive first hit single ‘ Drop it Like That’, which featured pioneering artist Stevie , along with remixing Stevie B’s own worldwide smash “ I Wanna Be The One”! From riding that successful wave Antonio went on to release his second album titled “GA” and delivered hot summer singles in “ One” , Let It Go and Don’t Know Me”. To say he has kicked open the door and made independent music careers seem more viable is an understatement – Gabriel Antonio is the definitive indie-artist flag bearer. As he prepares for his first trip to Australia for a series of showcases presented by Sezza Tee Entertainment in October, Gabriel is looking forward to giving his Australian audience a performance they will long remember and want more at the finish. A proud showman, Gabriel Antonio is doing what he loves and, judging by his huge fan base online ( the release of his records have garnered some 15.million hits and 60, 000 comments and counting) the world seems to love what he does to. Read our engaging interview and learn more about this intriguing young chart-topper! Great to talk with you Gabriel and share your story with my Australian readers…… you have been in the music industry, mainly focusing on Hip Hop / Pop in the US now since 2009 right? How has the journey been thus far for you? I’ve been in the music industry since about 2004, but really started to get around the airwaves in 2009. It’s been a great journey thus far and I’m excited for what’s more to come. I’ve worked with a lot of others in the industry and it all comes in due time. From working in different studios around the world and being around an amazing support from my fans, it’s all coming together rather quickly. I’m enjoying every minute of it &it’s always a pleasure to reach more people through interviews and media press. Thank you for the opportunity. You already have 2 successful albums under your belt and a laundry list of hit singles, namely your latest release Blow Up, which is available on ITunes. How would best describe your sound and the artist that you are striving to be through your music? In the music industry, artists go through many changes, within their music and their own imagery. When I started making music, I had no idea it would be what it is today. I’m traveling the world and hearing how my music has affected people’s lives and that alone is one of the reasons I don’t stop. I enjoy all genres of music; I have respect for a tune, a sound. I wouldn’t put a limit on what I can create but it would be a mixture of Pop infused hooks, Hip Hop styled verses, a bit of melodic harmonies, and an 808 that would make any speaker move. As I get closer and closer to the top, I’m striving to be as original as possible. Anybody can sample old music and make it a comeback hit, but it’s how you recreate it and make into our own. I strive on originality and what makes it better is that I write all of my own music, so it’s a part of me, in each song you hear. Each song is different in their own way but a story through lyrics. You have Caribbean roots but was born and raised in LA – how would you your say your cultural roots and your environment have shaped you and your musical sound? Well, coming from a Puerto-Rican background, it was always Salsa, Merengue, and tropical rhythms that sort of drew me to music. I remember every weekend my mother would wake us up early for breakfast and she would always have music playing and I was the only one who would either dance, or sing along with her. Her love of music influenced my spark of interest in sound & song. We left Los Angeles and moved to Tampa, Florida when I was about 7 or 8 years old. When I lived in Florida, I was introduced to a much wider range of music. I listened to everything from Rap, Pop, Country, Latin, & Jazz. I was about 13 when I decided that I wanted to be a DJ. That was the plan, I didn’t want to sing or be in the spotlight as an Artist, I wanted to be a worldwide DJ, but fate has its own way of putting things together. Growing up and being around music, it put a comfort in me. It’s a way to vent, or to put things in perspective. I write, to create. It’s something that has channelled inside me, music is who I am, and will always be. Now it’s time to play it for the world to hear. Who are your influences musically and why? One of my biggest music influences is Paul Simon. His music speaks words beyond imaginable. I can’t tell you how many times I’ve heard his Graceland album. It’s music. He writes and creates everything original, from the sounds, to the melodies, to the strings, and the drums. When I make music, sometimes I listen to playbacks and I come up with melodies for my own music, with his music in mind. He always had a melody behind almost every bar. Whether it was high pitched or so low, you almost couldn’t hear it, but it definitely was there. I enjoyed the sound, and his story, his personal touch on his own music is something we both have in common. You are a proud unsigned artist that is getting major love online with close to 20 million views alone achieved with your No 1 smash single “I Love the Way” ….. What would you say are the pros and cons to being unsigned today and how has the internet world helped new artists breakthrough to the worldwide audience. We live in a time that artists can be one on one with their fans. Before, it would only be the record labels that had the access, the communication, the privacy of each artist. Now, we, as artists, can take our own music and expand it to the world with just a click of a button. The good side of that is the relationship you build with your own fans. You have the ability to create your own hard-core fans and the fans that will call the radio stations and demand your music, the fans that will buy your music online, and attend your shows. We have access to our own content, our own key to our fans. I’m currently creating an even more direct way for fans to keep to date with their favourite artists. I can’t give too many details on it but it’s definitely in the works for 2014. I’m a part of Neo Music Group, it’s an independent entertainment music company that specializes in bringing the artist directly to the fan. Imagine walking down the street and your phone rings, you answer it, and it’s your favourite artist that you have connected with, on our site. Would that make you an even bigger fan, and most likely you’re going to want to tell the world who just called you… and that creates a web of even more fans. Although that’s just one of the small things that Neo Music Group is about, that direct connection, it plays a major role in creating a fan base. The only bad part, which isn’t really bad, but with music being leaked and distributed free throughout the internet, it’s hard to gain revenue on sales. How do we fix that? How do we prevent it? By building hard-core fans that wouldn’t download your song because they understand you on a personal level. Build that relationship, that connection. How am I traveling the world, doing shows in India, London, and now the beautiful country of Australia, without a record label? Without a Major behind me? It’s because I have built that connection myself. I love my fans, they are the ones who will “ride for me”, as I’d do the same for them. You have control of what you want. What are your current projects/ collaborations – what’s next on the horizon for Gabriel Antonio? I’m currently working with Neo Music Group to bring my music to many more ears and many more screens across the world. 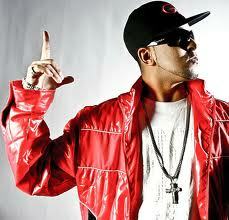 I have my new single “Blow Up” that is gaining momentum and becoming yet another major hit. I’m glad that it’s taking off the way it is. We just released the music for it on VEVO and on MTV, and we just released the official music video for the hit “I Love The Way.” We’re working hard on building more connections and networking to build our image even more than what it already is. This way, when a label does approach, we’ve already done the legwork. It’s a win/win. I also have another single for early 2014 that will have a certain connection with Australia, but I’ll save those details for a later date. ← Electric Empire – All Aboard the Empire Express!